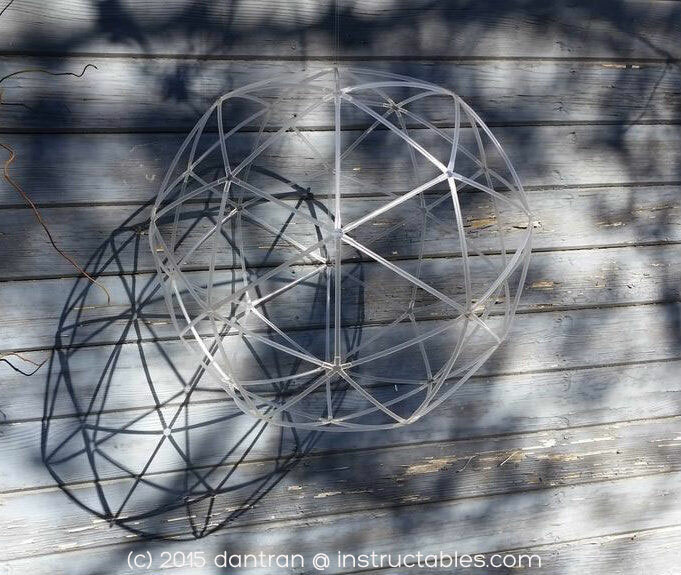 Creative maker of things and member of Instructables.com, dantran, put together this clever DIY geodesic sphere using straws, a sheet of plastic and some scissors. If you happen to have a laser cutter, he provides the file so it can cut the sphere hubs for you. Otherwise he provides a pdf template file to help you cut the plastic hubs with scissors. While he had another more direct image of the sphere, I chose this one because along with the sphere itself being a mandala, the shadow created from the sphere makes for a fascinating, more complex and more interesting one as well. On his member page, he also posted instructables for an icosahedron and a dodecahedron, both made from straws. Dantran’s image of his geodesic sphere encourages us to allow our shadow selves to come to the surface once in a while. It probably has a very interesting, complex, and fascinating story to tell.